NCLAC has several opportunities going on right now that you should know about! First, we are holding our annual Call for Entries for visual artists. The application is located in "the box" at the bottom of the blog page; this can be emailed to us with the requested items (such as images, bio, etc.) Deadline is May 1, with notification sent by June 1. Dixie Center Lobby, where we display work by artists from our outside-of-Lincoln service areas (Bienville, Claiborne, Jackson and Union Parishes). Currently on exhibit in the Dixie Center Lobby is work by members of the Union Parish Arts Council. Crescent City Coffee, in Ruston, where we hold quarterly receptions/exhibitions for area artists. Crescent City is a hopping place, with a steady stream of customers, so work displayed receives a lot of visibility. Currently on display is Exploring Abandonment, paintings by Becky Bennett. Bridge Project, in collaboration with Bossier Arts Council, where NCLAC artists are given the opportunity to exhibit at Bossier Arts Council spaces without going through the Call for Entries process with BAC. Artists who apply to exhibit with NCLAC are placed in a "roster" that BAC will select from for selected exhibitions in their area, and BAC artists will be exhibited in NCLAC spaces, providing greater exposure for north Louisiana artists. A Center Collaboration space, in partnership with Louisiana Tech University, will be a large exhibition area for themed group shows. This space will bring together community and student groups for art exhibitions and receptions. The space is currently being renovated with art-hanging in mind, so it's an exciting opportunity. Artists who have applied to exhibit with NCLAC will be the first to receive Calls for Entries for these group shows. Brand new next month is the Bazaar Experiment Festival and Market, whose vision is to a celebrate the products, arts, food and traditions that unite communities and support small-scale vendors, artist, crafters and producers. This event will be held at Railroad Park in downtown Ruston on April 20. It's a vast collaboration between many groups, including various organizations/departments from Louisiana Tech such as the International Student Organization, Departments of Theatre and Architecture, and the Enterprise Center as well as NCLAC and other community groups. 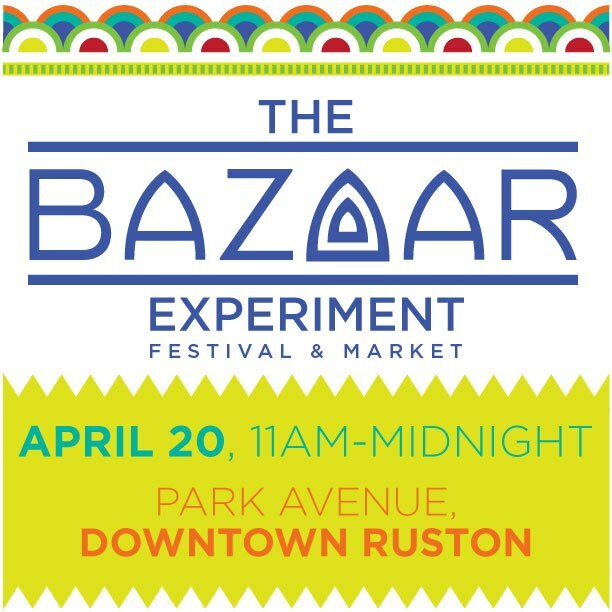 The Bazaar Experiment's mission is to create environments that bring people of different regions and demography together – celebrating & supporting small-scale producers, crafters, artist, caterers and performers, encouraging organic, eco-friendly practices, contributing to local communities, leading & fostering educational opportunities. What this means for you, is that there are vendor spaces open for the day! What a wonderful way to spend a spring Saturday, selling your unique, handmade items at an exciting new event in town. The vendor fee is only $30 if you apply by April 6; after that date, if there is still space available, the fee is $35. Follow this link for an application. Items that are handmade, interesting, easily carried and relatively inexpensive will show best at this bazaar-style booth event. 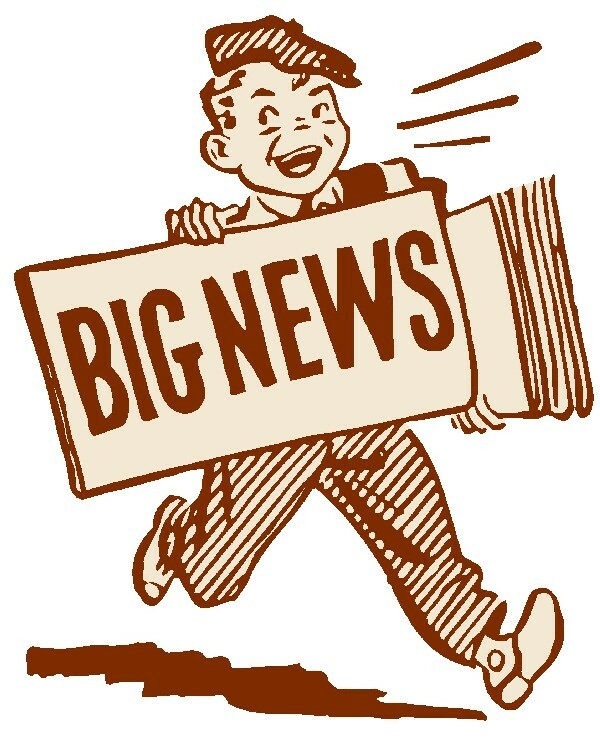 There's room for creativity to make this brand new event an exciting happening in Ruston! March means it's time to begin registration for Summer Arts Camps 2013! These camps will have classes in 2D, 3D and Drama. The camp fee, which includes supplies and a snack, is $60 if you register and pay by May 1. After May 1 the registration fee is $65. You may call our office to register at 255-1450. 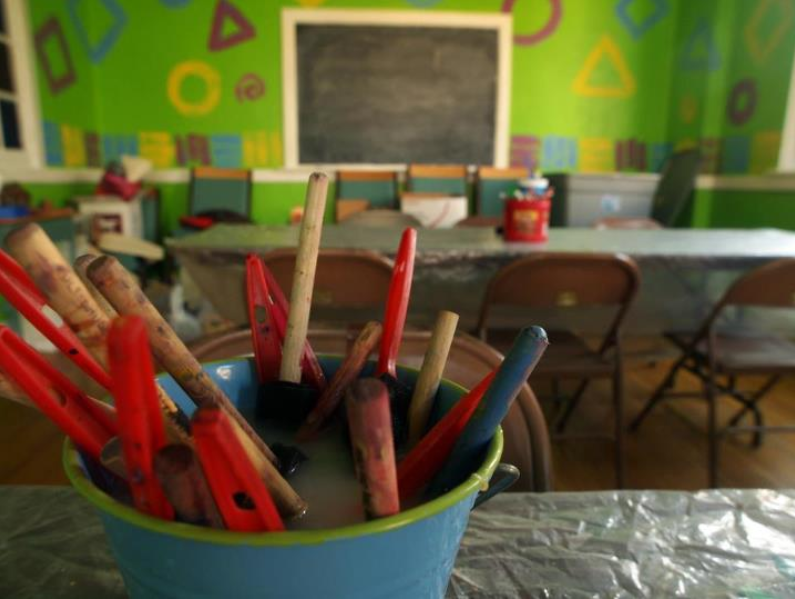 These one-day camps will teach Visual Arts and Drama. The camp fee, which includes supplies and a snack, is $20 if you register and pay by the Wednesday a week before camp....in case that's confusing, here are the dates: For the discounted fee in Farmerville, register and pay by June 5; for Arcadia, register and pay by June 19; for Homer, register and pay by July 17. After that Wednesday, the camp fee is $25. You may call our office to register at 255-1450. Spring and summer activities mean lots of opportunities for volunteerism! Volunteering with a nonprofit is great for: meeting people with similar interests, feeling connected with your community, building your resume and networking. NCLAC will need volunteers for Summer Arts Camps, for our booth at the Ruston Farmer's Market, and for the Bazaar Experiment. Volunteering with our children's activities involves assisting teachers and students with the execution of projects. With the Bazaar Experiment, we'll need help checking in and assisting vendors, as well as with our children's booth. With these activities you should always dress comfortably and wear a smile. Contact our office for dates and details at 255-1450.